Please note our phone lines close daily at 6.30pm. If you wish to cancel an appointment it is important to provide us with at least 30 minutes to allow us to provide the appointment to another patient. 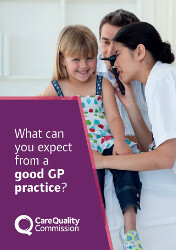 You can now book an appointment with either a Nurse Practitioner or a Doctor for up to 4 weeks in advance. If you have a preferred doctor or nurse practitioner that you would like to see please request your preference when you book your appointment and we will always accommodate wherever possible. Many problems can be sorted out over the telephone without face-to face contact with a doctor. Advice can be given and prescriptions issued, if appropriate. This saves valuable time for both you and your doctor. When you contact the surgery, we will arrange for a clinician to call you back at a convenient time. During this phone call, the clinician will provide you with whatever care you need. Should you require a face to face appointment, this will be arranged for you during the telephone consultation. Should the attention of a doctor be required, this will be arranged for you immediately. Please note that routine appointments will continue to be pre-booked with a Practice Nurse or Healthcare Assistant. This includes all vaccinations, cervical smears, routine check-ups, blood tests and urine tests. If you have any questions on any of the above please speak to our reception team who will be happy to help. We are now open on Saturdays 9am-1pm for pre-booked appointments with a GP only. Please call after 9.30am and before 6:00pm for any enquires you may have , finding out test results or to register at the practice we will be happy to assist. Patients requiring urgent medical advice outside of these hours should call the Out of Hours service provided by SELDOC on 111. For Emergency situations please dial 999.